Nose: Soft and rich, red wine tannins, malt pudding, strawberries and raspberries, soft spiciness with oak spice, white pepper and cinnamon. Honey cake and after a while a big coating of citrus peels. Palate: Spicy and honeyed, oak spice, cinnamon, white pepper, almost bitter citrus peels, maltiness, ,dry, red wine tannins and red berries in the background. Finish: Short medium length, lingering subtle spices, honey and red fruit and orange sweetness, drying tannins. Thoughts: From a professional blending point of view it’s a great piece of work. 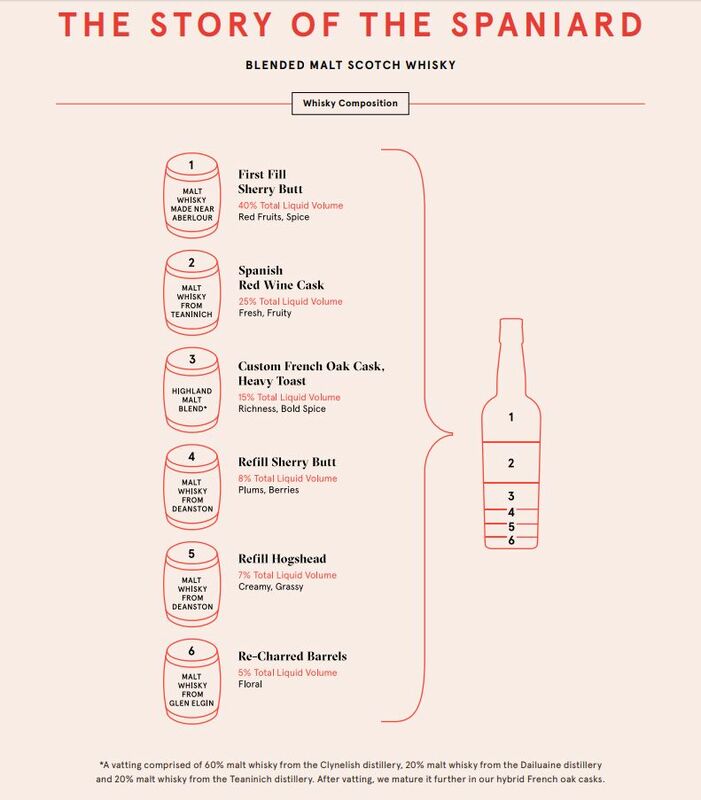 I’m finding myself more often than not really admiring the results of Mr Glaser’s concoctions and The Story of the Spaniard falls in that category with a brilliant balance between the sherried, wine-d and ‘standard’ whiskies. The whisky itself is an easy going, smooth (yeah…) and quite tasty daily drinker with just enough wine impact, fruitiness and subtle sherried notes. Good one.